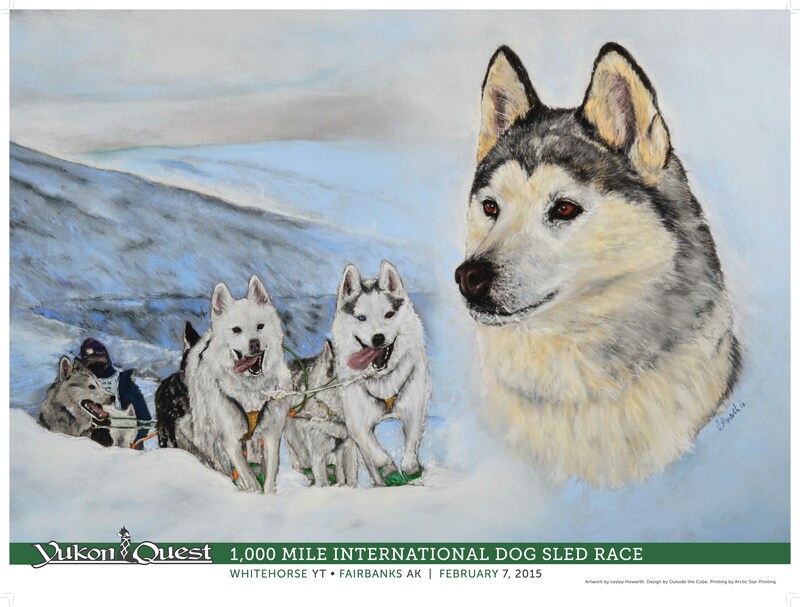 I have been very lucky to have been the artist to produce the artwork for the 2015 Yukon Quest 1000 mile international seld dog race. 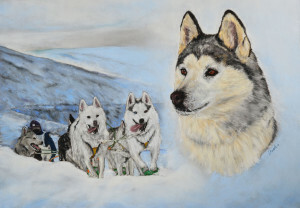 My painting featured the siberian huskies of Rob and Louise Cooke, ex pat Brits living in the Yukon Territory, Canada. The finished poster and my original art work side by side.